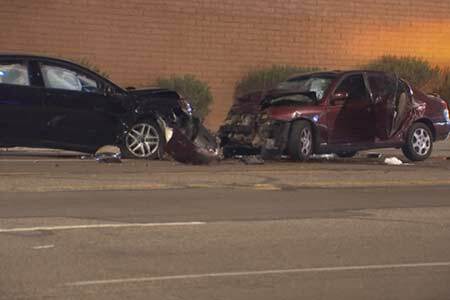 Phoenix, Arizona—Paul Andrade, age 67, died of injuries he received when another car struck the one in which he was riding late Wednesday night. According to Phoenix Police accident investigators, at about 10:30 p.m., Jacqueline Sayre was traveling northbound on 16th Street in a 2016 Ford Fusion. She crossed the center line near McKinley Street and collided head-on with a 2001 Hyundai Elantra traveling in the southbound curb lane with five occupants. Mr. Andrade was one of the passengers in that car. The 51-year-old male driver, a 51-year-old woman and a 13-year-old boy were all transported to a nearby hospital with serious injuries. A 3-year-old girl accompanying them also was evaluated for injuries. Police believe impairment may be a factor contributing to the accident. Ms. Sayre was treated for minor injuries before being booked into Maricopa County Jail. She faces possible charges of manslaughter, two counts of aggravated assault and two counts of endangerment, among others. We extend our condolences to the family and friends of Mr. Andrade over this tragic loss. We wish rapid and full recoveries for those who were injured.